Greetings! Head over to Treasure Hunter this week from September 13th (00:00 game time) through to September 17th (23:59 game time) to take a look at the new Crystal Capsules! -	There is no unlocked shadow gem in the pool - it must be unlocked before the pool can be reset. Good luck everyone and enjoy! Hello there! Should you happen to pop over to Treasure Hunter this weekend you'll notice things are slightly different - that's because between Thurs 11th October (00:00) and Monday 15th (23:59) it's time for Loot Duels! Instead of the usual 5 chests, players will be presented with only 2. This 50/50 conundrum brings with it the added benefit of a potentially better selection of chests from previous Treasure Hunter events, and the possibility of grabbing some particularly fantastic loot! Note that both chests in the Duel will refresh when one is opened, and that neither will change until this has happened. That elusive likely lad Nic the Trader is going to making an appearance tomorrow, October 18th, and will be loitering somewhat suspiciously until October 23rd. Players will be able to find him near the Port Sarim Lodestone. What wares will Nic be peddling? That's not for us to say. Which is another way of saying that he refuses to tell us - he likes to convey an air of aloofness, we think. Generally Nic's stocks are normally limited but we strongly suspect he'll have a new selection of hard to find items on offer. Vic's brother may well be what we would down our way describe as 'dodgy', but it will still be well worth your time to track him down. Do you know why the classical Plague Doctor uniform has that long beaked mask? It's so the doctors could fill it with herbs and spices to hide the smell of all pus-filled groin buboes and fetid corpses! Oh sorry, you weren't eating, were you? Now you too can get in on the bacterial pandemic action with our new Plague Doctor set, which is available through a new Task Card! Kicking off on October 25th (00:00) and running until October 29th (23:59), there will be 16 tasks to complete, with four levels of prestige and brand new tasks. 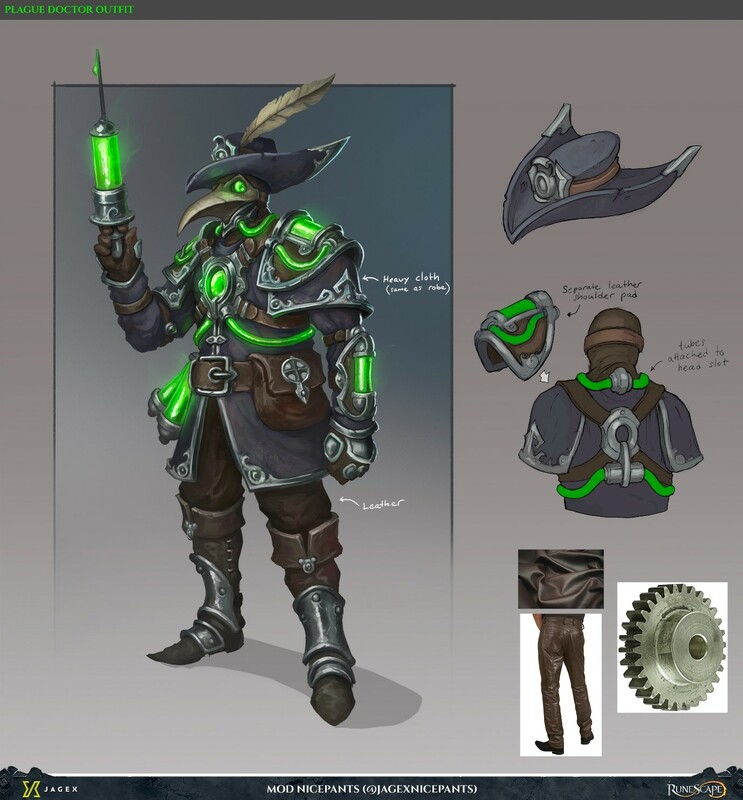 Your reward for your efforts will be the assorted parts of the new Plague Doctor outfit. These include a staff and syringe, along with rest, walk and teleport animations. We've put a lot of thought into the names of these items, too, which draw upon the somewhat grubby history of Plague Doctors throughout the ages. It's bargain time in Gielinor! Black Friday has arrived at the Solomon Store, heralding an entire week of discounts for players to take advantage of. The fun kicks off today (November 23rd) and will run until Friday November 30th. Discounts of up to 75% will be offered on a wide range of goodies including bank boosters, emotes, action bars, teleports, hairstyles and perhaps even a legendary pet or two. Head over to the store to take a look. See you there! There are also deals at the merch store! Large Fine Art Print of Illustrated Map of Gielinor, deskmats, tees, hoodies, mugs and Angels Scapes pins and keyrings. Check out all the offers here. Did someone say Auras? To make this sale extra special we have included a huge range of auras for players to get their hands on, with Tier 4 and 5 auras available at 25% off. There will also be a 30% discount on the highly sort after 'Reckless, Maniacal and Berserker' auras which will be available through the entire sale. Happy Christmas! It's time to celebrate the New Year as Celebration Lamps return to Treasure Hunter, giving XP across all your available skills! From 00:00 UTC on December 27th until 23:59 UTC on January 1st 2019, you can use Celebration Lamps to get XP in a skill of your choice, and a smaller amount in all other skills that you have access to. If you do not want to earn Combat XP, worry not - you can right-click the 'Inspect' option and follow the prompts to opt out of it. Once you've used a number of Celebration Lamps, the XP you receive from them will begin to increase in +2% increments, up to a maximum of +10%. The more you use, the more XP you'll get! We've also once again brought back the global 10% XP buff for the duration of Celebration Lamps - giving you some truly awesome gains potential entering the New Year! RuneScape is about to turn 18! To celebrate this dawning of adulthood, head over to Treasure Hunter from 00:00 on January 3rd 2019 to 23:59 on January 7th, grab a sparkler and enjoy the spectacular Firework Festival! In recognition of this entirely unique occasion, there will also be some very special one-off prizes! Last week we saw over 3 billion loyalty points spent on discounted Auras! The Aura sale continues until the end of January where you can get 25% discounts on Tier 4 and 5 Auras as well as a 30% discount on the highly sought after 'Reckless, Maniacal and Berserker' Auras. Plus, don't forget that the Aura sale continues until the end of January, offering 25% discounts on Tier 4 and 5 Auras as well as a 30% discount on the highly sought after 'Reckless, Maniacal and Berserker' Auras. The penultimate week of our January sales blitz on the Solomon's General Store rapidly approaches. Starting on January 19th a new selection of wares will become available, including pets, outfits and emotes. Don't forget that you have until January 31st to take advantage of our promotions on Tier 4 and 5 Auras, including Reckless, Maniacal and Berserker. Incidentally, there have been over 6.2 billion loyalty points spent in this sale to date! After five frantic weeks our January sale is packing up, lowering the shutters and drawing to a close. Don't miss out on this final chance to grab some cut-price RuneScape goodies, all of which are discounted by 50% for the rest of the week. For the statistically orientated among you, you may be interested to know that over 1 billion loyalty points have been sunk on 'Maniacal', 'Reckless' and 'Berserker' Auras during the past four weeks alone. We hope you've enjoyed what's been on offer throughout the sale, and we'll be back with more discount delights as we press on through 2019. It's time to take a huge gulp of air, hold your breath and take the plunge as Treasure Hunter braves the depths in search of Bubbling Lamps. Both bonus XP and direct XP hunters should head over to Treasure Hunter from February 14th (00:00) to February 18th (23:59). You'll be presented with three (as opposed to the usual five) chests and have the chance to get your hands on Gilded Chests, which guarantee a 4x multiplier. As the name suggests, Bubbling Lamps are among the many sunken treasures contained within. They allow you to choose the type of XP you receive (bonus or direct). The winning SGS carnival competition submissions are coming to life next week! 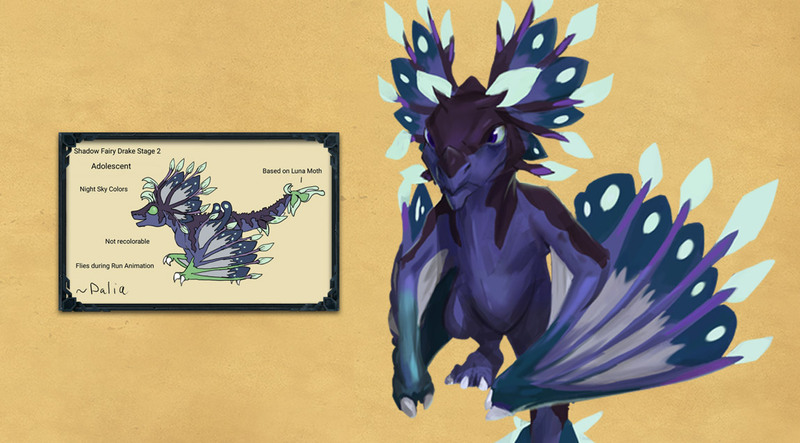 From March 4th players will be able to pick up the winning Wyvern Cape and the runner-up duo of the Fairy Drake and Night Fairy Drake from Solomon's General Store. Many congrats to Claire (Best Pud Pud) and Nadia (Dalia)! Both will of course get their winning creations for free, as will the others finalists. 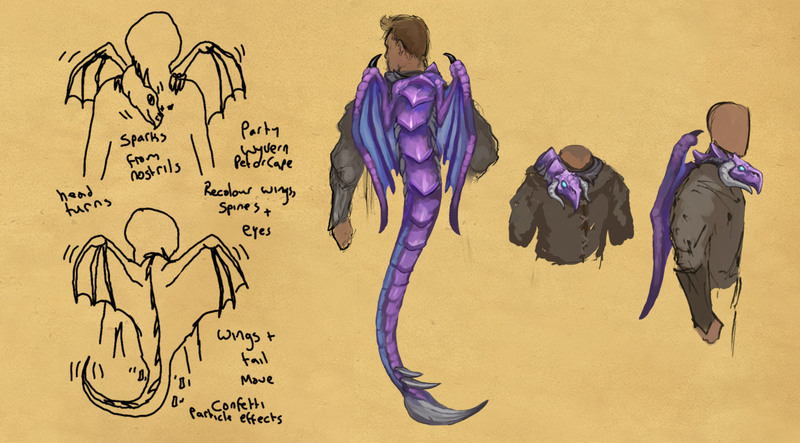 The appeal of the 'Party Wyvern' is pretty obvious, we think. We love it! With our current tech this item is a static non-animated creature wrapped around the player. 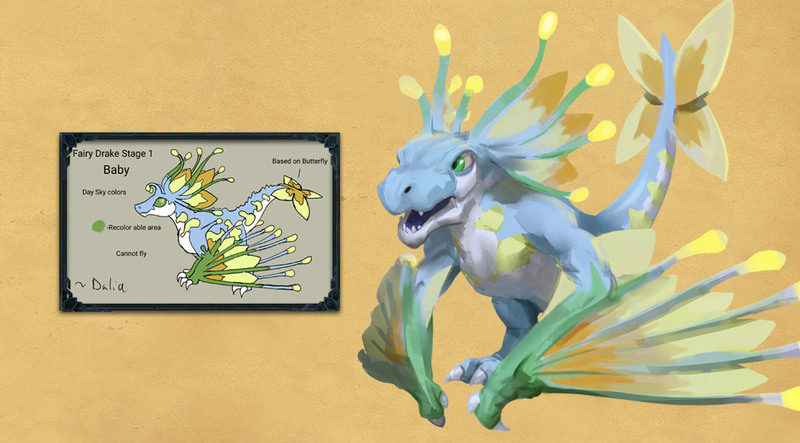 Nadia's wonderful idea for this pet was for it to transform depending on whether it is day or night. However, we've decided to release both individually as pets so players can decide which pet they want to show off. We hope to revisit both of these in the future so these fantastic items can meet their creators' fantastic visions. In the mean time, we hope you enjoy them as much as we do. Items created by RuneScape fans are always our favourites. There's a brand new Treasure Hunter promo arriving today that offers both a new type of lamp and some brand new cosmetics. What's so special about these lamps? As the name might suggest, Phoenix Lamps have a chance of being saved upon use, meaning they may live to be used once again! Ready to get your boogie on? Then head on over to Treasure Hunter, where from 00:00 on April 4th to 23:59 on April 8th we'll be partying with the all-new Glitter Bombs. Glitter Bombs are obtained in Treasure Hunter chests. Just crack one open and you'll be rewarded with a sparkling shower of Bonus XP in the skill of your choice, plus a sprinkling of Bonus XP across every other skill you have access to. Yeah baby! Remember, you only have until April 8th to join the Glitter Bomb groove. Be there or be square! Apologies to all for the confusion surrounding The Risen outfit. It seems that the ghastly getup was so ghoulish that it caused Java clients to crash, so for a short period we were forced to yank it from the game. We're pleased to say that the problem was swiftly resolved, and that everything is now back to normal!